Free-up hard disk space and organize files on your Windows computer. Manage your disk space consumption prudently, and help your Hard Disk gets better again. The scan report shows the usage statistics of the storage in terms of file count, size and percentage. 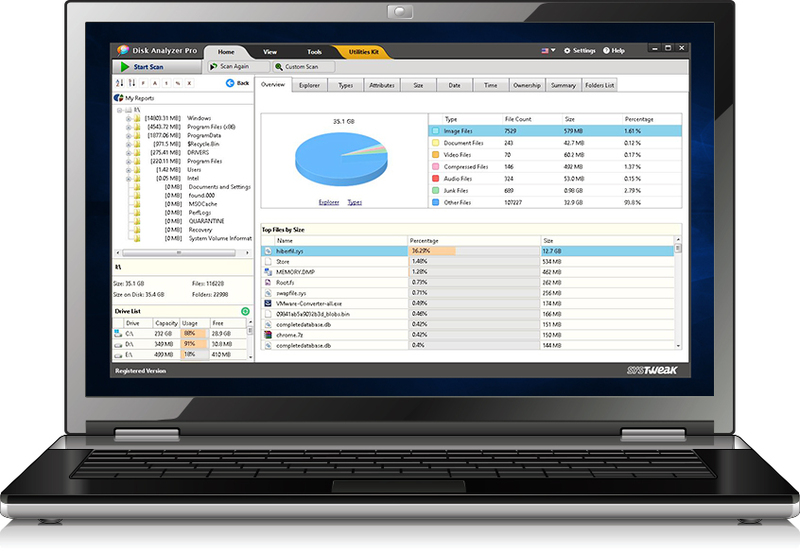 It is one of the best disk space analyzer available today.